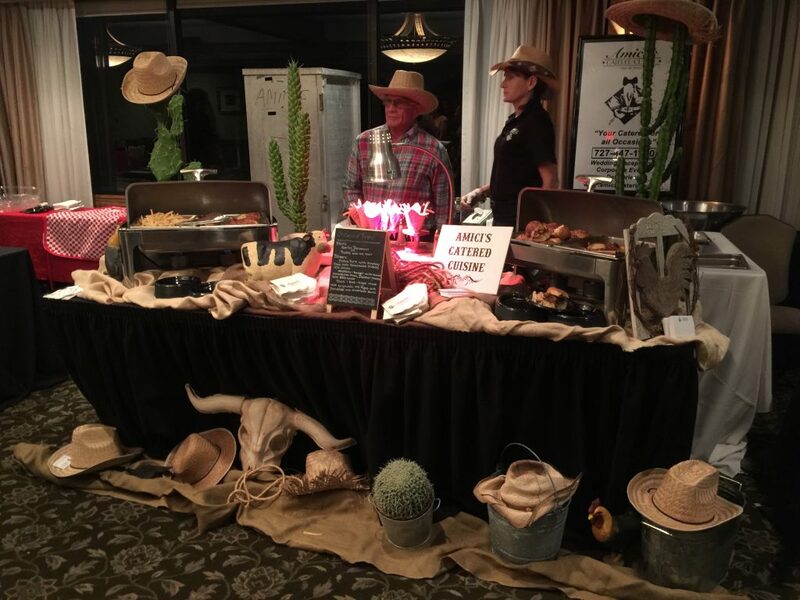 Catering | Banquet Halls in Clearwater, FL | AmicisCatering.com | Amici's Catered Cuisine, Inc.
Plan the perfect hoedown with help from Amici's Catered Cuisine. Our St. Petersburg catering specializes in barbecue cuisine by smoking only the very best cuts of pork, beef, and chicken. We are proud to offer a plethora of BBQ entrees to broaden your palate by making you feel like you are from the Deep South no matter where you are from. All of our sides are made fresh daily, using the finest southern ingredients and our unique recipes. From homemade red-skinned potato salad, molasses baked beans, beef brisket, and so much more, we have everything your southern heart desires. Our catering in St. Petersburg is often served at weddings, birthday parties, corporate events, and backyard parties. We are proud to help our guests by offering delicious cuisine options while also helping them find event planning solutions to ensure their event is seamless. Whether you need entrees for over 100 guests or you need help finding banquet halls in Clearwater, FL for your special event, look to us to help you get the job done. Along with BBQ catering, we provide indoor event catering, as well. Choose our "no frills" setup, or opt for our "full service" setup for an additional fee. With full service, you can sit back and let us handle all the work! Everything will be delivered in a turn-key package, ensuring your event is a success and enjoyed by all. 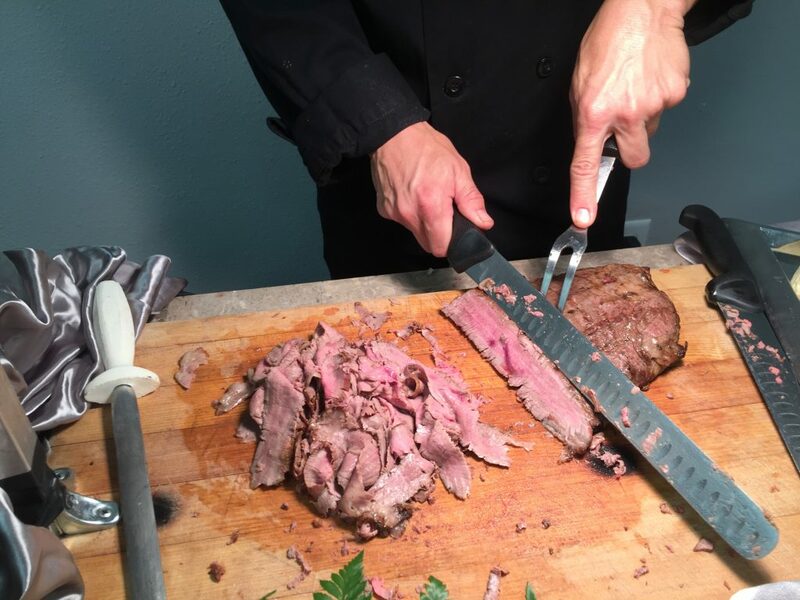 Our staff sets everything up; then we cook and serve continuously during your event, serving up hot, fresh food. Salads are iced, and outdoor events come with a tent to cover the serving area. When your event is over and we've cleaned up, you'd never know we were there! 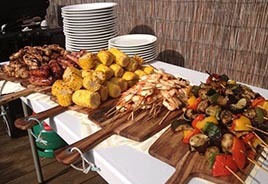 Contact our team to request BBQ catering at your next backyard event. We serve clients throughout Tampa Bay, Florida, and the surrounding areas.